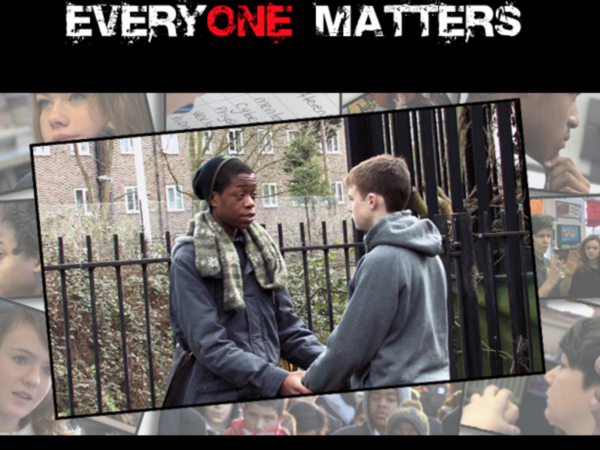 Everyone Matters has been produced to raise awareness of the problems of homophobic bullying in schools. Developed in partnership with the Metropolitan Police and Wandsworth and Waltham Forest local authorities, these resources feature role play scenarios to challenge both students and teachers to reflect on their own attitudes to this form of bullying. The Everyone Matters resource can be used across the curriculum in a variety of contexts, as is suggested within the guidance documents. Bullying can be an emotive subject. It is important to consider strategies for engaging all learners in the work safely and without loss of focus. The Everyone Matters materials are supported by teaching and learning resources designed to engage all classes in the learning process.